Coldplay frontman Chris Martin has admitted he felt “worthless” in the midst of his split from former wife Gwyneth Paltrow. Chris and the Oscar-winning actress famously announced their “conscious uncoupling” in March 2014, after 10 years of marriage, during which they welcomed two children together, Apple, 14, and Moses, 12. In a new documentary film about the chart-topping group, Coldplay: A Head Full Of Dreams, the 41-year-old confessed he hit a low point during the band’s 2011 world tour in support of their fifth studio album Mylo Xyloto, as he struggled with “some parts” of his life. “When we’re on tour, it’s just a little bubble, you become institutionalised. 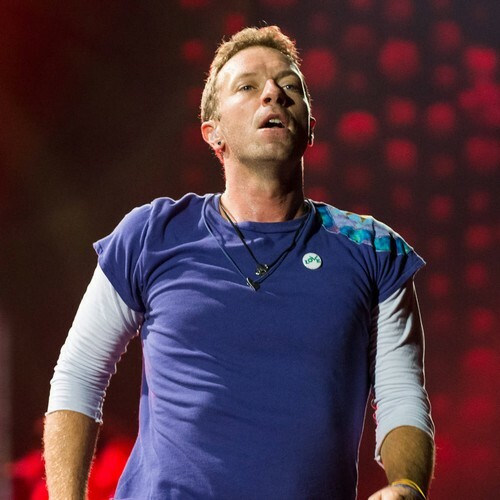 And this is why a lot of frontmen have problems in their personal lives,” Chris recalled, reports The Daily Mail. “Towards the end of the Mylo tour, it was a very difficult period for about a year or so of feeling completely worthless and nothing to anybody. The Yellow singer’s bandmates, Jonny Buckland, Guy Berryman and Will Champion, and their former manager Phil Harvey also admitted they were extremely concerned for their friend at the time. Chris is now dating Fifty Shades of Grey actress Dakota Johnson, 29, while his ex Gwyneth, 46, remarried in September to 47-year-old TV producer Brad Falchuk, with their children serving as groomsman and bridesmaid. The documentary, which looks back at Coldplay’s rise to fame and focuses on the tour for 2015 album A Head Full of Dreams, gets a limited cinema release in the U.K. from 14 November (18) and will stream on Amazon Prime two days later.